BlytheLife.com » Giving Blythe as a gift? Giving Blythe as a gift? 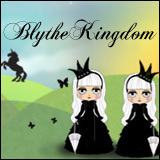 What age do you think is appropriate for a child to have their own big Blythe? The thing is, I’m not a parent. Not even close. 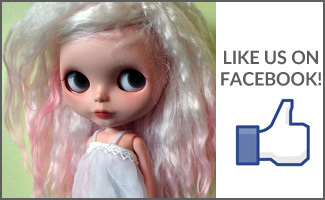 I got my first Blythe (Cappuccino Chat) at the age of 19 and I paid for her myself. My first gifted Blythe was Simply Peppermint (also at the age of 19) where it was my birthday gift from my parents. I wasn’t born when the original Blythes were released and I didn’t have any Blythes as a child. I had a couple of Barbies, and the poor things didn’t fare too well under my tender care. They were neglected and hair turned into frizzy balls due to overcombing of the plastic hair. But that was me as a child. What you really need to consider about your own child is not so much their age but how mature they are. There are some incredibly mature 12 year olds out there and there are some incredibly immature 12 year olds. Blythes can be pretty expensive, depending on which one your child wants. You need to make sure that they’re aware of the costs of a Blythe and also help them to understand what they shouldn’t do with their dolls (eg. not getting stock eyelashes wet or else they fall out, not leaving very dark fabrics on for long periods of time). If your child is mature enough to realize that Blythe isn’t just some regular old doll and that she’s special, maybe they are old enough to have their own Blythe. Perhaps you could supervise your child while they’re handling their special dolly, or maybe they’ll surprise you with already knowing that Blythe is something special. It all really depends on the individual child. If you are considering getting a Blythe for your child, just make sure that they understand that she’s special and shouldn’t be mistreated. I think the fact that your child wants a Blythe is a fantastic thing. 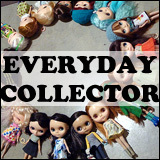 There are a lot of young Blythe enthusiasts out there that your daughter can interact with. Keep in mind that some forums require members to be a minimum age (13, 16, 18, etc.) so keep an eye on your child’s internet activities. But remember that Blythe is all about having fun. QOTW: Your dream holiday gift? I totally agree with your comments. I have two daughters (9 and 11) that are both getting Blythes for gifts this year. Both my girls are extremely careful of my dolls and have never trashed any of their cheaper toys. I think it is really important that the child in question understands the monetary value and the fact that Blythes aren’t toys like Barbies before they get one. I also have an understanding with my girls that if their dollies become neglected for whatever reason they will be moving in with my dolls! All that being said, I wouldn’t get a really expensive dolly as a first for any child. Mine are getting a Prairie Posy and a used Disco Boogie. Both these dolls cost around $100 each and I am making clothing and accessories for them. I can’t wait to see their faces when they open the gifts..especially after I have told them on several occasions that I would never, ever get an expensive doll for them, hahaha. What good points! My niece wants a Blythe, she’s 4 & I supervise her with my dolls. But I don’t think she’s ready for them yet, she threw one down the stairs (thankfully only a few little scratches that buffed out easily). Maybe in a few years!